The handle of the twist grip shifter is turned to select the speed and by moving the handle forward and backward it selects the direction. The lever type has a short, vertical lever to be moved sideways in a linear motion to select the speed and forward / backward to select direction. 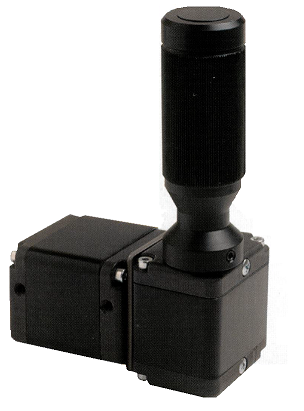 The shifter is very robust design with well designed components, such as bearings for the rotating shafts and micro switches. The twist grip handle can be furnished with an electric push button switch, to operate a high/ low range gearbox or other equipment.